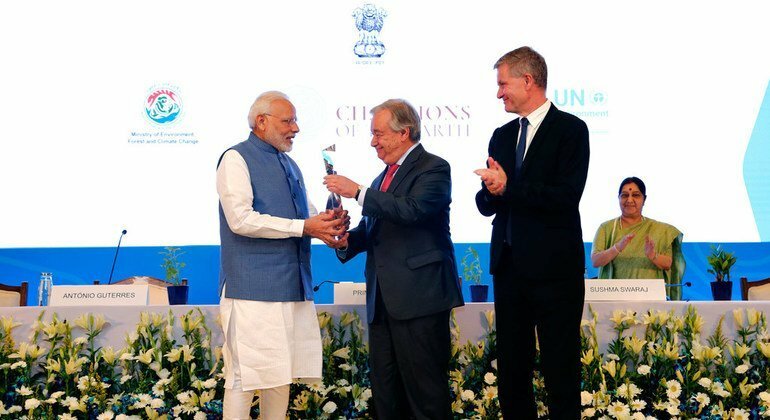 Secretary-General António Guterres (centre) honors Prime Minister Narendra Modi of India with the Champion of Earth award, the highest environmental honour of the United Nations, at Pravasi Bharatiya Kendra in New Delhi. UN Environment Executive Director Erik Solheim (right) looks on. 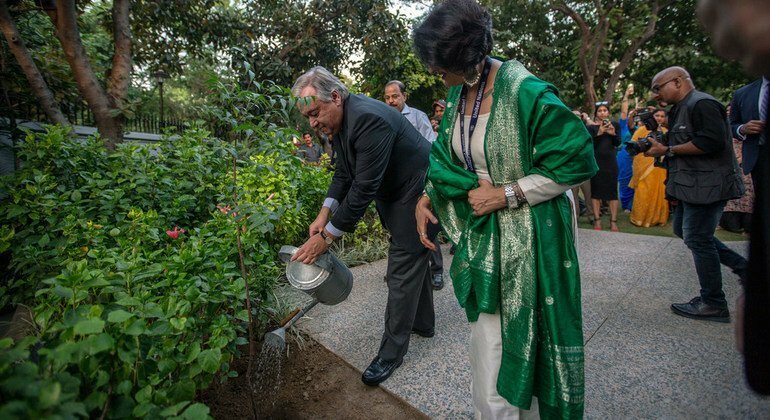 United Nations Secretary-General António Guterres on Wednesday conferred the Organization’s highest environmental honour on India’s Prime Minister, recognizing Narendra Modi’s efforts against climate change and pollution. 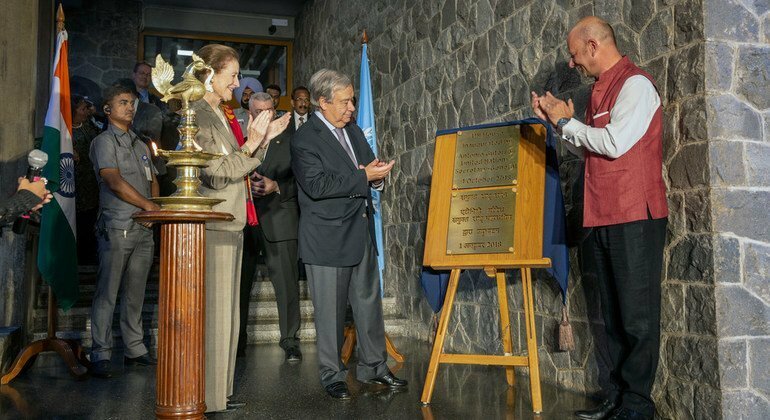 “Prime Minister Modi represents an extraordinary legacy,” said Mr. Guterres at the “Champions of the Earth” award ceremony, in the Indian capital New Delhi. According to the UN Environment Programme (UNEP), Prime Minister Modi has been recognized for his extensive efforts to control plastic pollution, including a pledge to eliminate all single-use plastic in India, by 2022. He has also been recognized for his joint initiative with French President Emmanuel Macron to champion the International Solar Alliance – a global partnership to scale up solar energy use and reduce dependence on fossil fuels. He also highlighted that climate action and development are not contradictory but are mutually supportive. “The green economy is the good economy. Technology is on our side. 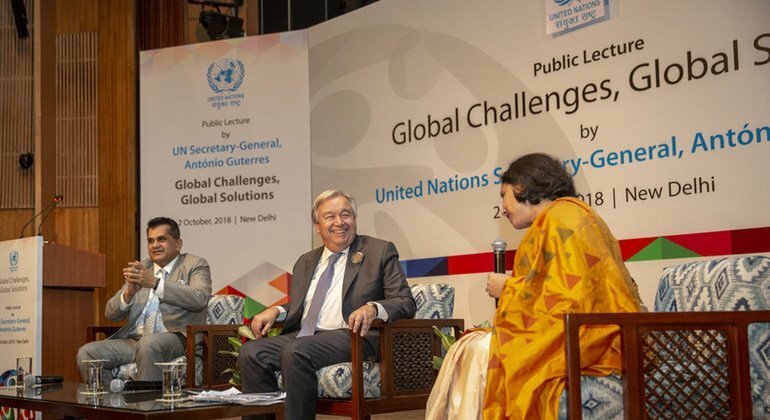 Those that will bet on the grey economy will have a grey future, and those that, like in India, are betting on the green economy will have a dominant role in the global economy in the decades to come,” said the Secretary-General. “From fisherfolk who only take what they need or tribal communities who think of forests as their family. We will never be able to tackle climate change without bringing climate into our culture. 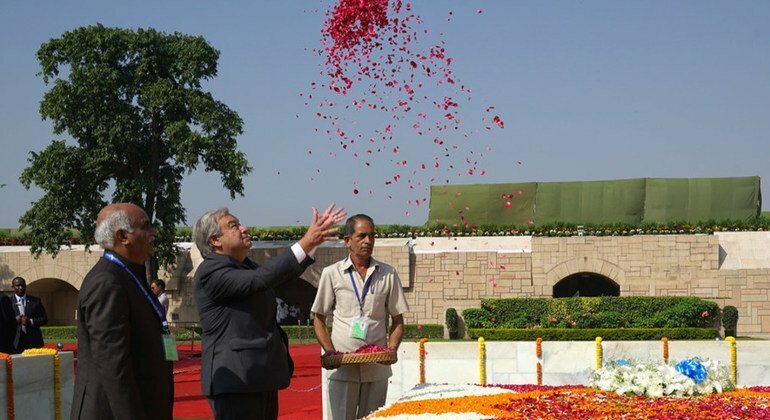 And this is why India is taking so much action for our climate,” said the Indian leader. 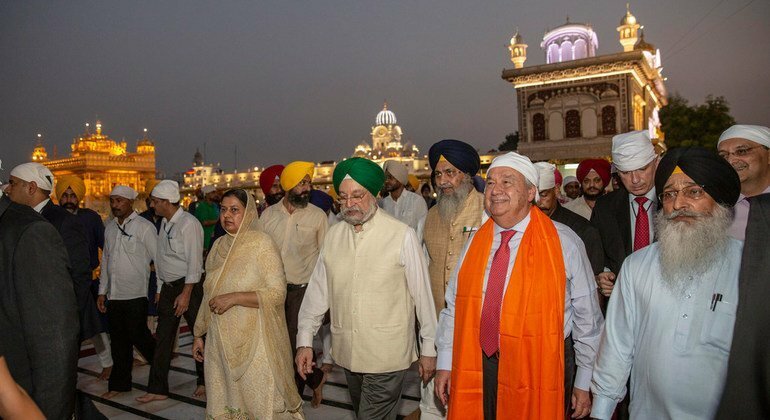 Secretary-General António Guterres pays visits to the Golden Temple in Amritsar, India, where he expressed his gratitude for a place that receives and shares with everybody. 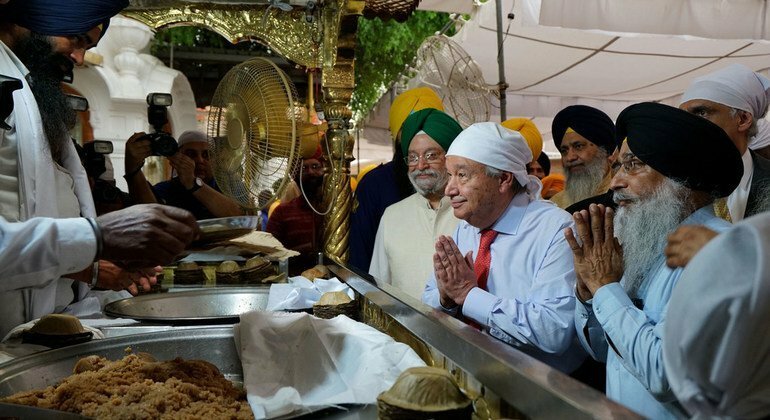 Also, on Wednesday, Secretary-General visited the Golden Temple in the city Amritsar, where he attended Langar – a community kitchen run by Sikh volunteers where people from all backgrounds and communities are provided nutritious food and clean water, at no cost. 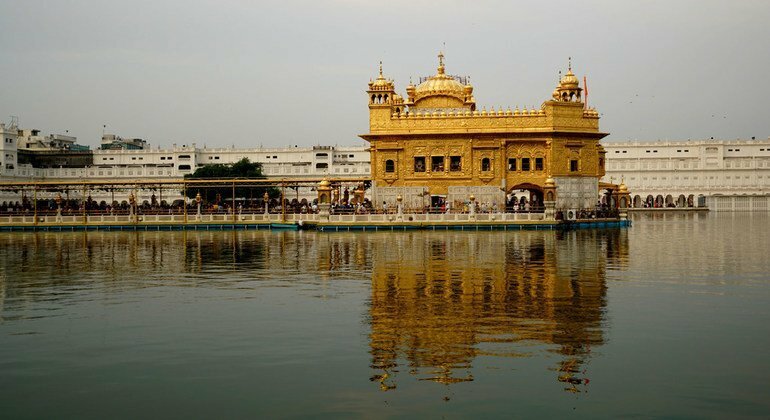 The Langar at the Golden Temple is attended by thousands of people and pilgrims each day. It is the biggest community kitchen in the world, open 24 hours a day and uses no plastic or disposable utensils and cutlery. 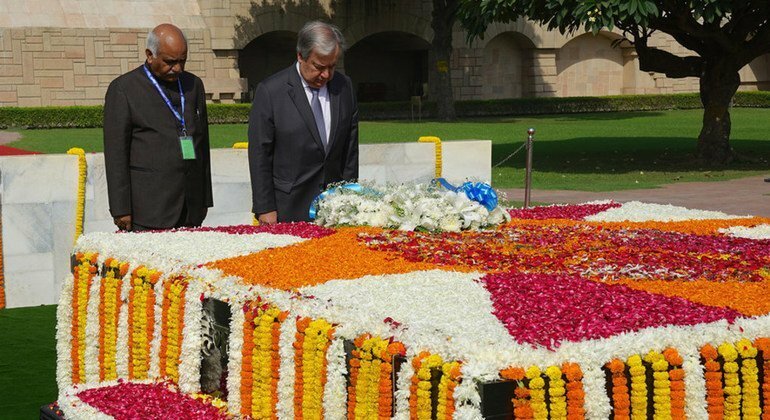 Mr. Guterres is currently on his maiden visit to India as Secretary-General, during which he paid homage to Mahatma Gandhi on the 149th anniversary of his birth; inaugurated ONE UN House – the newly-refurbished building housing UN offices; held bilateral meetings with top Indian Government officials and spoke at the Mahatma Gandhi International Sanitation Convention, among other engagements. Established by UNEP in 2005, the Champions of the Earth award recognizes “outstanding leaders” from Government, civil society and the private sector whose actions have had a positive impact on the environment. Other winners of the Champions of the Earth award for 2018 are: Impossible Foods and Beyond Meat, an initiative creating high-quality vegetarian meat-alternatives; the Zhejiang River Chiefs programme, which works for protecting water from pollution as well as ecological restoration; Joan Carling, an indigenous and environmental rights activist; Cochin International Airport, the world’s first to be fully solar-powered; and French President Macron, for his international cooperation on environmental action.